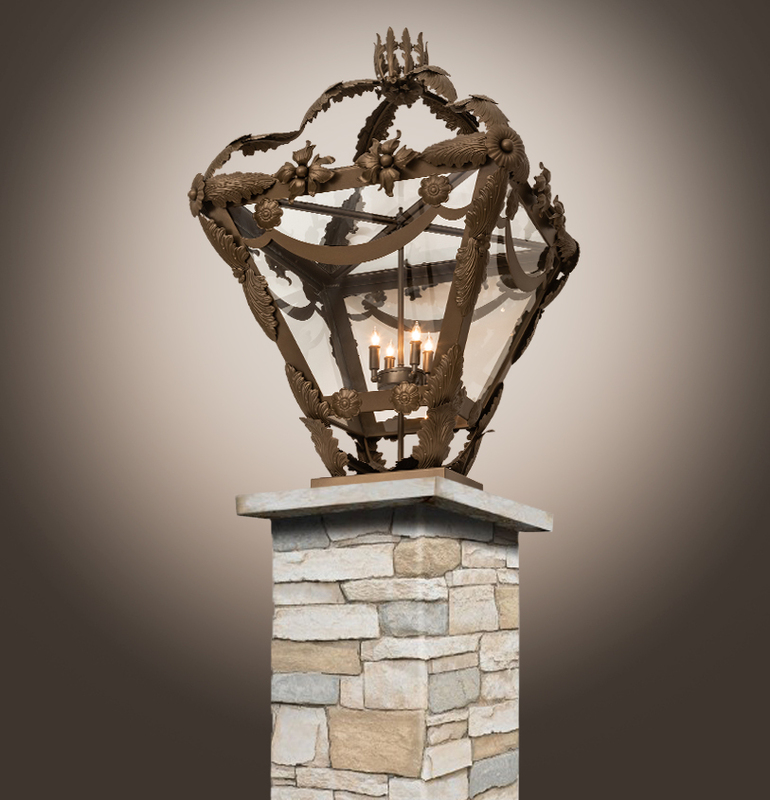 Description: This exquisitely ornament lantern features a delicate array of Acanthus leaves, floral accents and Handforged Iron scrolls in a Brown Metallic finish. The Clear Glass lens reveals a complementary four light faux candelabra that provides beautiful ambient illumination. This elegant pier mount is crafted of solid steel and ideal for indoor and outdoor lighting applications. The Symone can be mounted directly on to decks, piers and columns. Custom crafted by highly skilled artisans in our 180,000 square foot manufacturing facility in Yorkville, New York. Custom sizes, diffuser colors and finishes are available. UL and cUL listed for dry, damp and wet locations.